This month, we chose to feature Asheville, the largest city in Western North Carolina and truly a unique city. I’ve been lucky enough to visit multiple times, experiencing everything from walking around downtown to visiting the Biltmore to cheering at an The Avett Brothers concert on New Year’s. But the last time I visited Asheville was in February, when I was staying nearby to review a Honey List destination. You can read more here! Once we decided to feature Asheville, we knew we had to ask our friends, Melissa and Becca of Asheville Event Company, to be our experts. I know you’ll enjoy their picks! Having a wedding in Asheville? Let us know in the comments below! We paired our experts’ picks with this cool design from Mink Letterpress. Want a tote of your own? Simply download the PDF here and take it to your local screenprinter. Thanks, Nicole! From the Asheville area and have additional suggestions to add to our tote? What did you love about Asheville if you’ve visited before? Have a city in mind for future posts? Comment below and let us know! I was born and raised in Asheville, NC and I am getting married at Lioncrest at the Biltmore this September! Asheville is such a fun and unique city – the list you put together is a great representation of some of the wonderful things the city has to offer!! If you are visiting the area, you should also visit the Grove Park Inn & Spa and treat yourself! Hi Paige! Thank you for the suggestions. And a big congrats on your engagement! So exciting! LOVE the tote design! Asheville is one of my favorite cities. Bravo! We love this, Nicole! Thank you for the feature and the cool tote design! Wonderful selection of goodies – this post makes me incredibly excited for my first Asheville wedding this fall! Meredith, so glad you like it! An Asheville fall wedding is sure to be gorgeous! Love Asheville such a great place to go for a romantic weekend trip. PLEASE do a Jekyll Island,GA OR even a Golden Isles, GA (St. Simons Island, Sea Island, Little St. Simons Island, Jekyll Island) tote. If y’all could do this it would be DIVINE! Thanks for the suggestions, Lauren! YAY Asheville :) We are getting married there in September, and all our guests will be coming from out of town so this list is GREAT and very helpful for ‘welcome totes’ for us to leave for our guests. This definitely makes me VERY excited for September! Yay! Congrats on your engagement, Sarah. We are SO excited for you! Thanks so much for including us in this awesome Asheville post! There’s much more ideas where those came from! We LOVE Asheville! 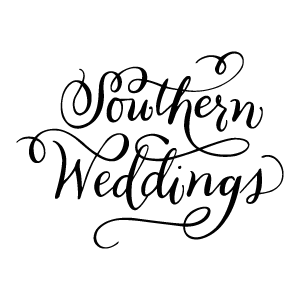 Found your posts through pinterest – our daughter is getting married next spring at rosemary beach, fl and would love to see if you know of a source for all the great cotton totes that you have designed for your brides ??? Hi Gail! I’d try the Dollar Tree store, of if you’re looking for an online source, cheaptotes.com has the best prices we’ve ever seen! Can’t vouch for the quality, as I’ve never seen them in person, but that might be a place to start! Sierra- I love checking out what’s included in each tote! Have you done Birmingham, AL or would you consider featuring?